'Days Gone' has its undeniably impressive zombie hordes, but it'll need more to make its mark. Lots of people are burnt out on the post-apocalyptic zombie trope, but I'm not one of them. I was fairly insulated from the genre until I played The Last of Us, which quickly became my favorite game of the last five years or so. 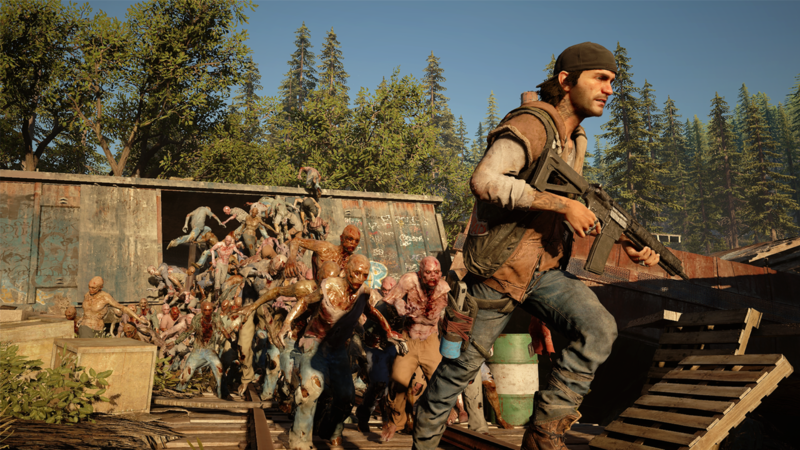 So the trailer for Days Gone, a new title set in a post-pandemic corner of the northwestern US that was unveiled at Sony's E3 event, piqued my interest. The attention to detail in the ruined world was excellent, the narration intriguing enough to make me wonder what went down, and the idea of a former motorcycle gang biking around an open-world felt like a concept worth exploring. But the in-game demo that concluded the Sony event ended up being a bit of a surprising letdown, and I've been thinking about why ever since. What was missing from the demo was a human connection -- a motivation for bounty hunter and protagonist Deacon St John's actions beyond simple survival. Without that, the massive horde of "freakers" featured in the gameplay demo might as well kill St John and be done with it. Obviously, this is just a first look at the game; developer Bend Studios focused on gameplay mechanics and the undeniably impressive and overwhelming nature of the freaker horde over fleshing out more of the story. But I was left with plenty of questions at the end of the demo that'll need satisfying answers for the game to carve out a space in the crowded zombie apocalypse landscape. Chief among those is what Days Gone will do that The Last of Us didn't already do to near-perfection. Representatives from Bend focused on that horde of freakers, noting that they were not "undead" -- they're alive and need food and water just like you do. They're just more "animalistic" than normal humans, competing for survival in the ruined world. Additionally, the world itself will shape your encounters, with constantly changing weather as well as transitions from day to night affecting how you approach any given scenario. The open-world nature of the game means there are a host of different ways to survive any given scenario, and part of the fun will likely come from the various play styles you can bring to the same encounter. While we didn't get to see how the weather and environment affected the experience, the demo did show some interesting concepts as Deacon tried to escape from hundreds of freakers. Funneling the zombies into a "choke point" where they're all trying to fit through a small space lets you gun them down en masse, and at one point Deacon cuts the rope on a huge stack of logs at a sawmill, temporarily blocking pursuit. You can also grab items from the environment to augment your weapons or build something out of nothing -- another conceit that reminded me of the crafting system in The Last of Us, but that doesn't mean it can't be used to good effect here. As impressive as the freaker horde is, though, the big question is how Deacon can possibly survive facing down this many enemies. Bend assured us that not all encounters will play out like this one, but there has to be a way to "win" against such a vast and speedy enemy. It might be more about escape than actually taking down all the freakers. The motorcycle will play a big part in the game, so maybe the goal of the encounter in the demo is to get in, capture or kill your bounty, and get out before being overrun. The question of motivation still remains. What's the point of being a bounty hunter in such a world? Who is trading valuable resources to get revenge on someone who might have wronged them? And is the benefit large enough to put yourself in the path of hundreds of freakers? 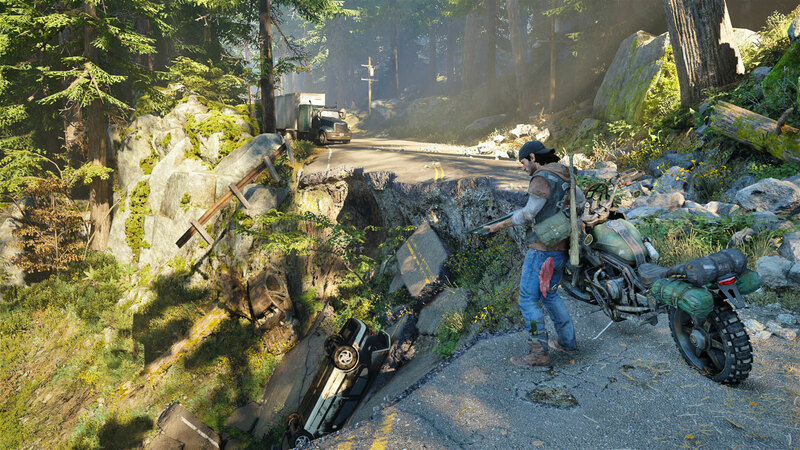 Again, it's very early for Days Gone and we'll surely learn more about the circumstances of this particular pandemic as time passes. 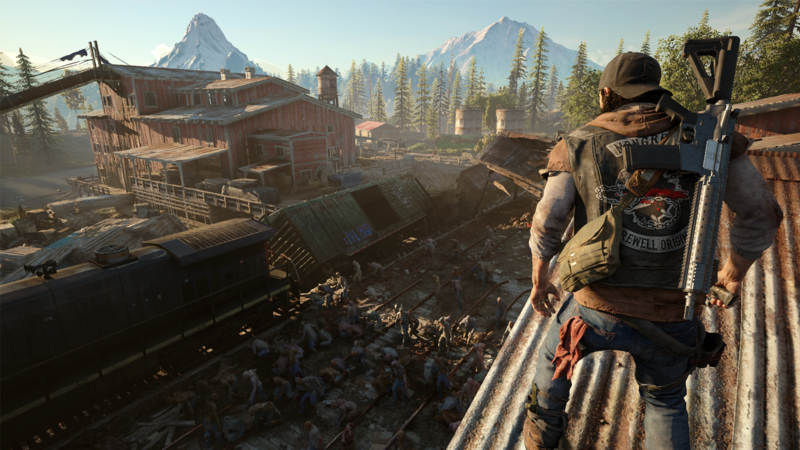 But fleshing out the universe of Days Gone in a compelling way is going to be crucial to making the game stand out. The reason The Last of Us was so successful wasn't because of the zombies or the combat -- it was because of the beautifully-built world and, most crucially, Joel's relationship with Ellie. Fortunately, the Days Gone trailer hinted at some depth to Deacon St John and the trauma he endured trying to survive as the world fell apart. The clip of him in the past, with his blond love interest on the motorcycle with him was right on-the-nose, but nonetheless it helped paint a picture of a man who lost something and is trying to find the will to continue on. Hopefully, Bend can pull of a combo of chaotic, unpredictable open-world adventuring with a story and characters worth caring about.